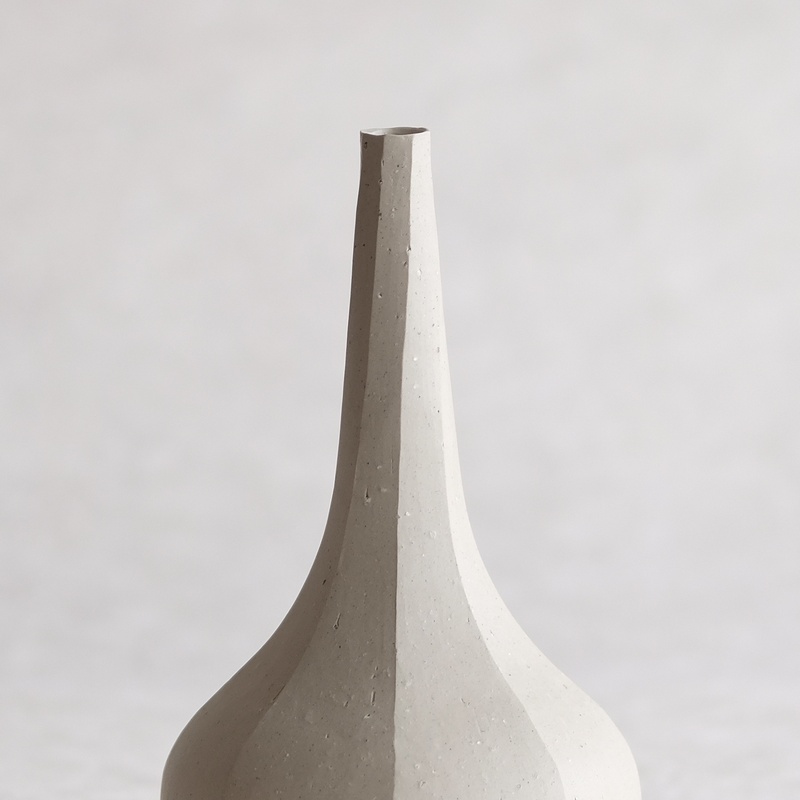 Hitoshi Morimoto’s unglazed “Shirahana” series is made using the same clay from local rice paddies used to produce the Bizen ware that is the dominant style of the region in Okayama where he lives and works. 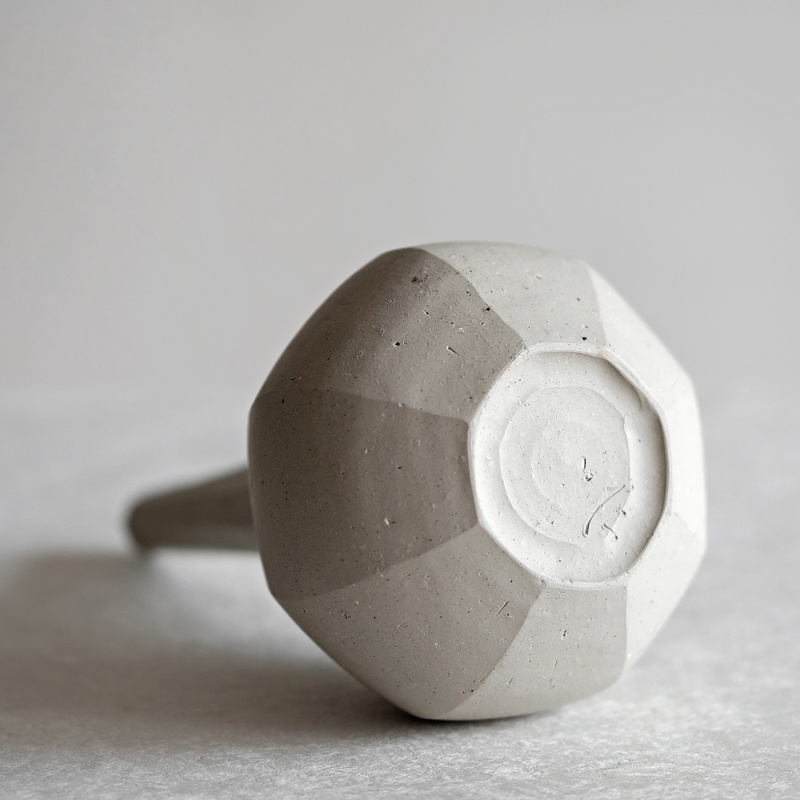 To achieve a neutral tone he fires the works in a kerosene kiln. The shirahana series includes tableware for daily use as well vessels for displaying flowers. 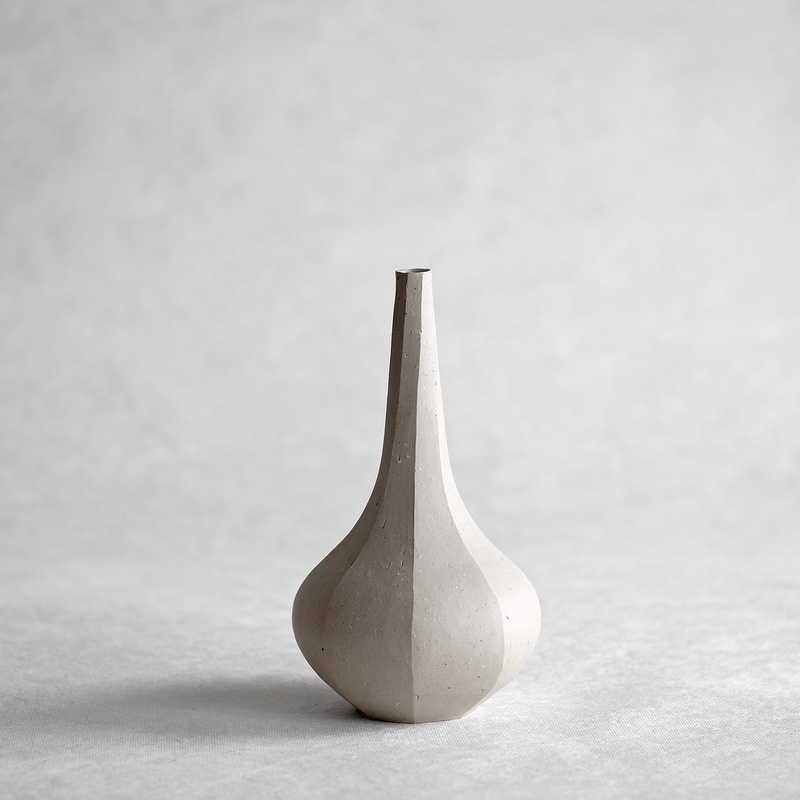 With a background in sculpting Morimoto's flower vases have distinctive forms and also make beautiful standalone objects.